How or why someone came up with the idea to take ten perfectly good Cadillacs out into a field and bury them nose down at an angle rumored to match the face of the Great Pyramid of Giza is beyond what most of us can comprehend, but in 1974 that is exactly what an art group known as Ant Farm did with the financial backing of an eccentric millionaire named Stanley Marsh 3—who, for some reason, preferred the Arabic “3” as opposed to the Roman “III” simply because he found it pretentious. 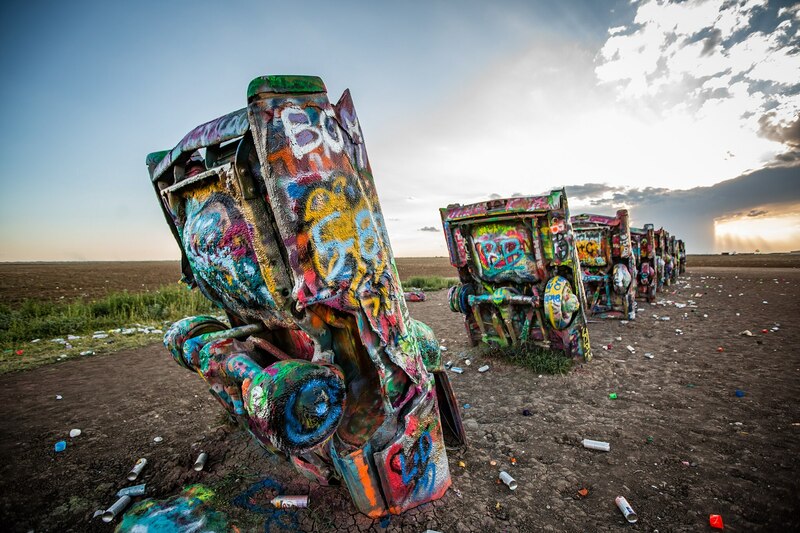 Originally the group of luxury sedans turned art installation known as Cadillac Ranch was located in a wheat field, but was moved two miles further west of Amarillo, Texas in 1997 to a cow pasture just off of I-40 to get it away from the growing city limits. The ten Cadillacs are buried in a line running west with the oldest car from 1949 being the furthest west, and the rest organized by year with the newest from 1963 being furthest east. 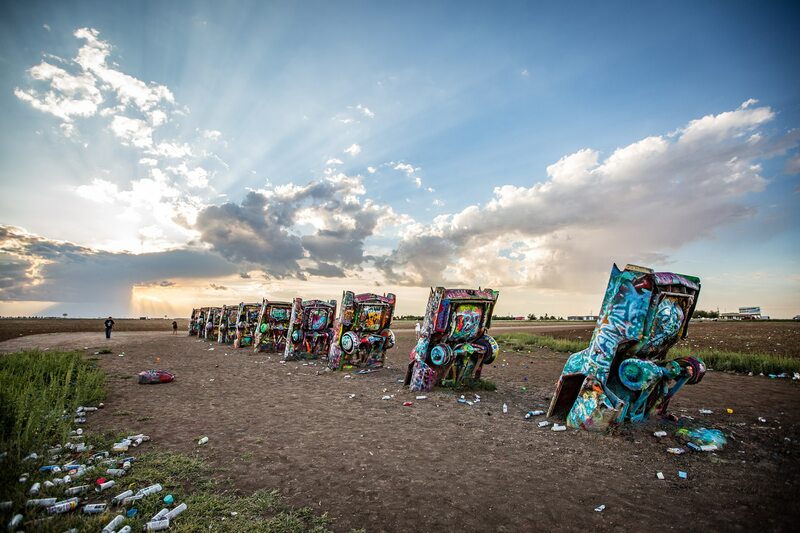 Perhaps the most iconic roadside attraction on Route 66, Cadillac Ranch stands as a vestige to a time when style was king in American automotive design, and represents the glorious fin era of GM’s flagship brand with an example of each iteration spanning from 1949 to 1963. 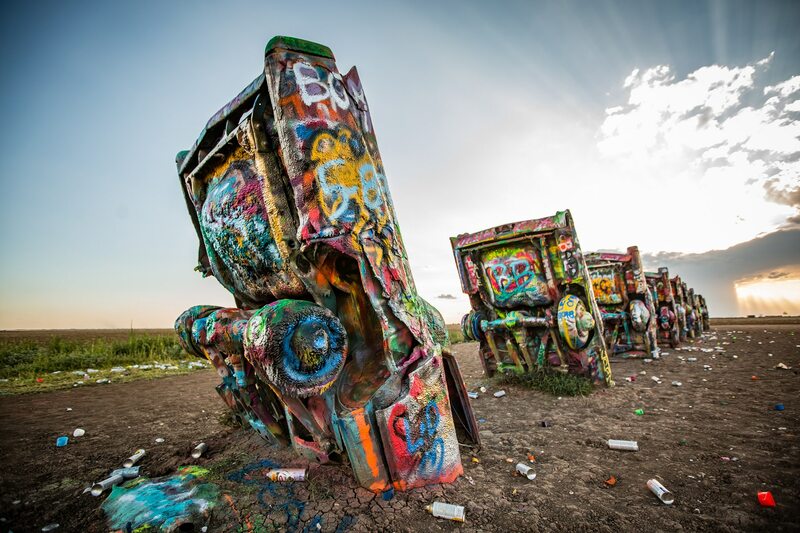 At this point in time these cars have been in the ground decades longer than they were ever being driven, and countless individuals traveling the Mother Road have made the pilgrimage into this dusty yet sacred field to leave their mark on this completely unnecessary, but somehow incredibly important piece of ever changing automotive art. 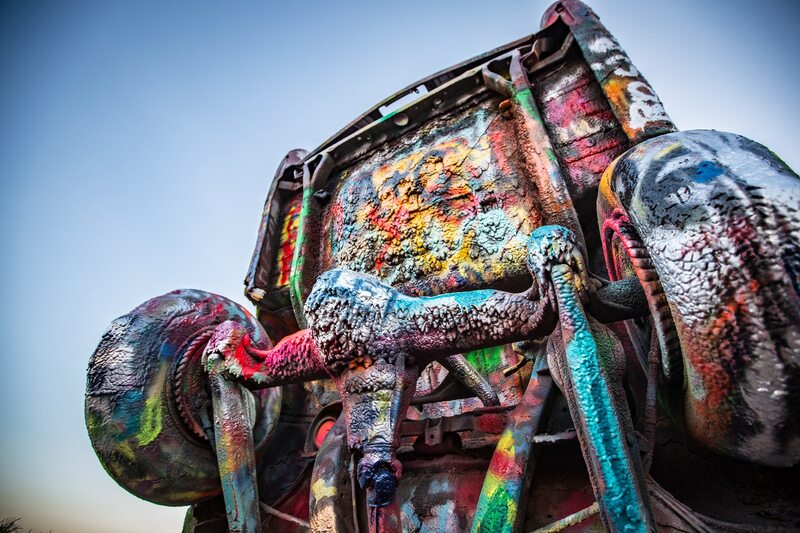 So next time you find yourself coming up on exit 60 while cruising down I-40 make a quick stop to see this beloved landmark and be sure to have a can of paint handy to vandalize these colorful husks of yesteryear just like the artists that created it would have wanted. The cars were only their original colors for a brief time before visitors started tagging them with their own paint, now there are untold layers covering each and every part of the vehicles. Despite the fact that there are in fact dumpsters beside the entry gate people tend to leave their paint cans scattered all the ground around the art installation. 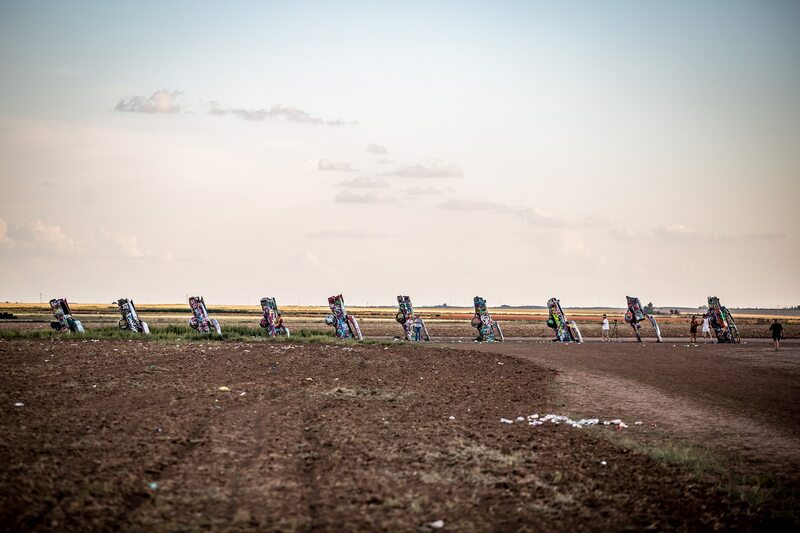 While there’s no real good reason for Cadillac Ranch’s existence, we’re happy that it has been preserved and become so beloved by the American public. Take a look through this gallery to see more of this quirky piece of automotive history.